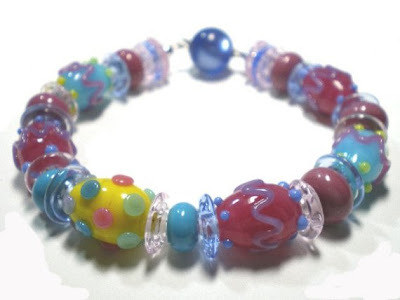 I have some fun eggy jewelry for you that is quite elegant. 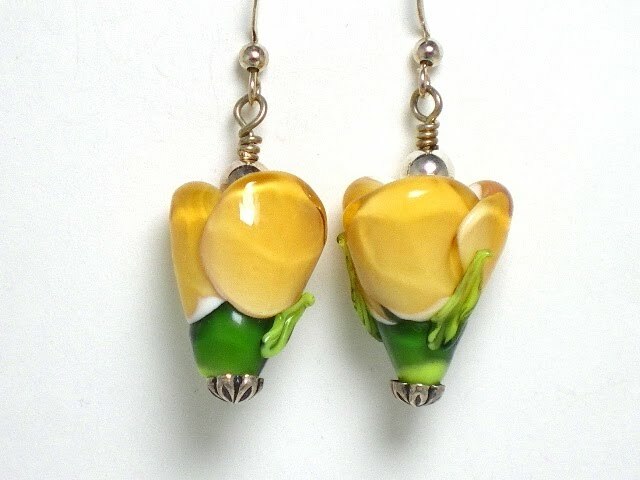 The best thing about them is they aren't blatantly themed, so you can wear them any time of the year. 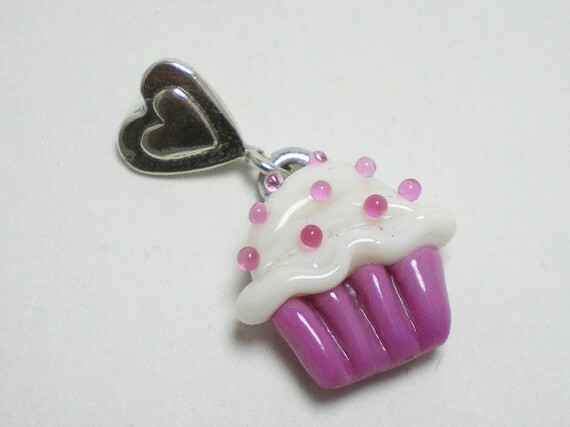 perfect for the Easter gifts to tuck into baskets. 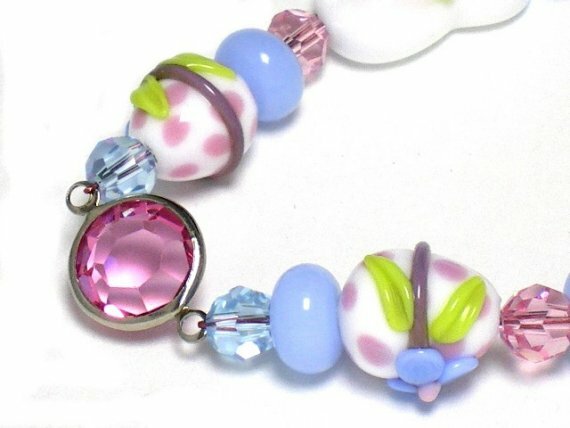 this piece is more traditional in pastel tones with a sweet 2 sweet bunny beads. Go HERE for more photos. I'm happy so many of you loved my last cupcake ring. Now I'm diving into spring. French lampwork artist, Kathryn Greer, crafted these amazing tulip shaped beads at my request. They have such beautiful detail and also come in a pinky red. And my Perfume Bottle earrings are available again. 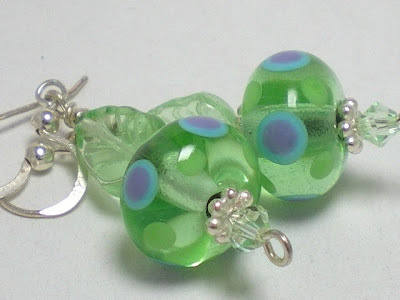 The leaf on the top reminds me of a perfume bottle top and they are transparent just like the fabulous focal beads. 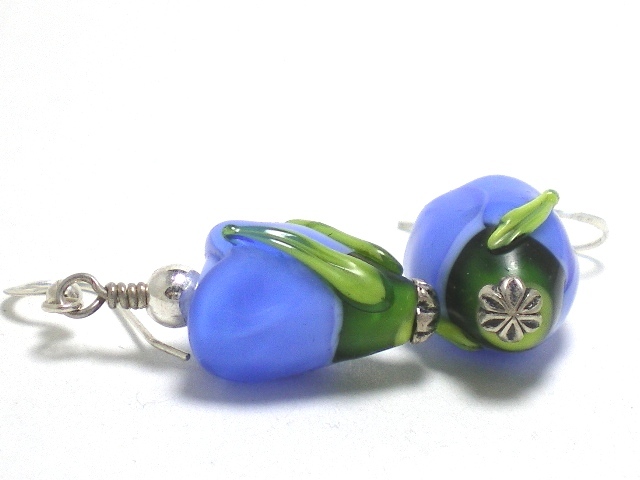 There are three different styles at the base of the earrings so that you can select what suits you most. I hope the snow falling has stopped for those of you who received a white April blanket. The weather here in the San Francisco bay area is perfect for the 3rd day in a row, so we are enjoying it for you and rejoicing in it as rain is again on the way.